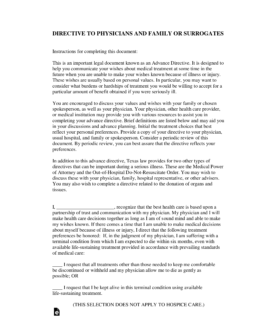 The Texas living will, also known as an ‘advance directive’ and by the State as a ‘directive to physicians and family or surrogates’, it is a legal document that provides to a Declarant/Principal a way in which the Declarant/Principal may make their end of life decisions understood, prior to the time that the Declarant is no longer able to express their wishes on their own and so the medical team knows exactly how to honor the end of life decisions of their patient. This document may be revoked at any time as long as the Declarant remains competent to do so. Medical Power of Attorney – Relationship that is created by a patient and a person that accepts the designation of being able to make health care decisions on their part. Step 3 – Additional Requests – Once you’ve had and opportunity to discuss your wishes with your physician, you may like to consider listing any particular treatments that perhaps you do or do not want in some specific circumstances, ie: you may decide against artificial nutrition and fluids or any type of intravenous antibiotics, etc. In the following lines provides, be certain to provide information with regard to treatments you do NOT wish to have implemented. 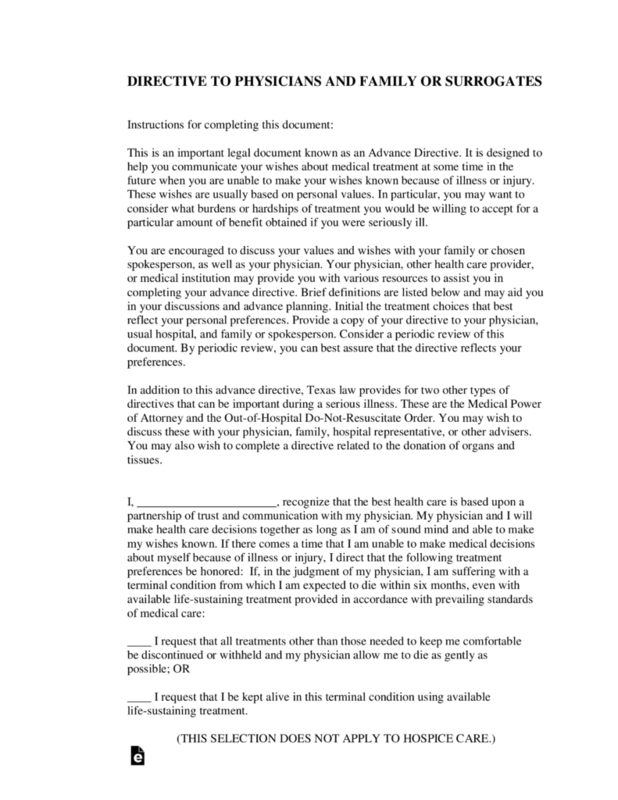 Step 6 – Witnesses – Two competent adult witnesses must sign below, acknowledging the signature of the declarant. The witness designated as Witness (1) may not be a person designated to make a treatment decision for the patient and may not be related to the declarant by blood or marriage. This witness may not be entitled to any part of the estate and may not have a claim against the estate of the patient. This witness may not be the attending physician or an employee of the attending physician.